To ensure peace of mind in their institutions, several luxury hotels opt for AcoustiTECH acoustic solutions. Guests of these prestigious resorts enjoy an incredible experience while having superior soundproofing and peace of mind. To do this, the best components are selected at all levels of construction. With regards to floors, whether for engineered wood flooring or ceramic flooring, in rooms/suites/penthouses, conference rooms or other, our acoustic membranes are specially designed to offer the best sound insulation possible. Let our team of experts accompany you in your project. At the beginning, with the architectural plans or in the execution, on site, our acoustic experts will offer you the best recommendations to ensure the success of your project. 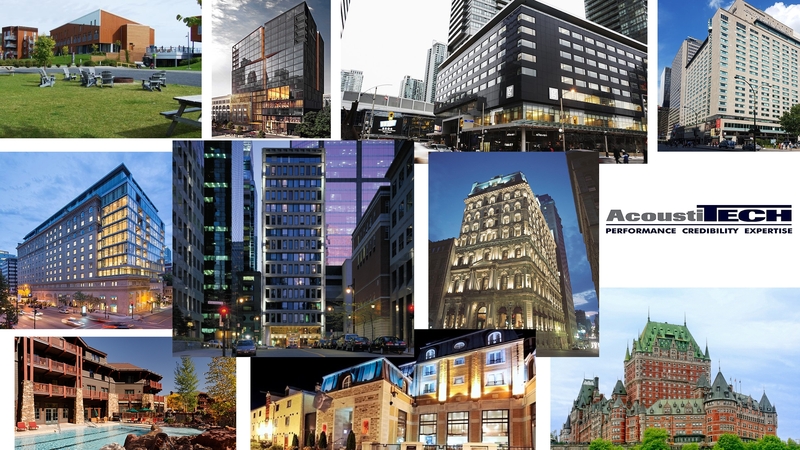 Contact us to add your new hotel to this prestigious list!